Towards the end of last year, I heard feedback from a few of our clients that there wasn’t a lot of good documentation on how to implement Google Analytics via Google Tag Manager. I felt this pain because I’d been in their shoes. For the previous couple of years I’d been on the practitioner side implementing GA via GTM and I knew exactly what they meant. So I decided to write a guide on how to implement a lot of common GA features via GTM from a practitioner viewpoint. I wanted to be sure to call out the gotchas and best practices that I’ve learned from good, ol’ fashion experience of doing this stuff myself. So today I’m really excited to share with you what I’ve been working on. 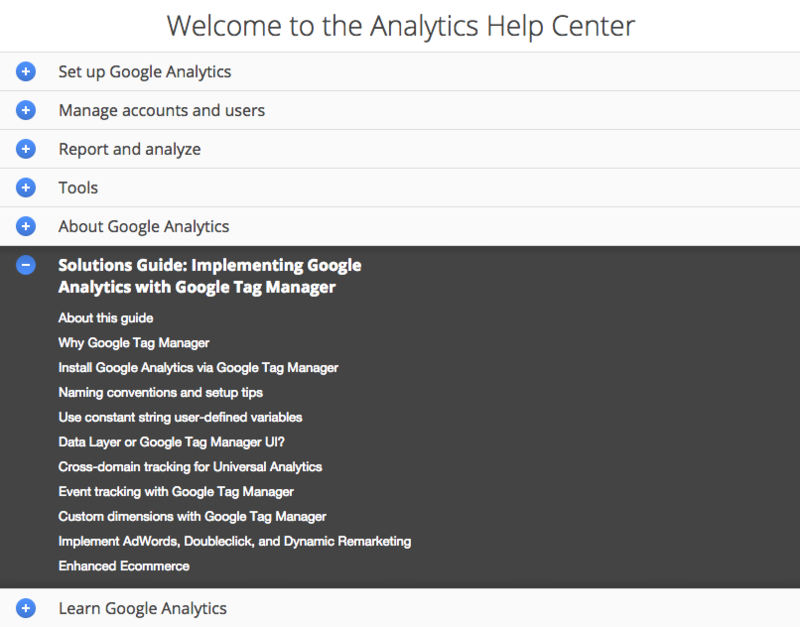 We just launched (check out the blog post on the official Google Analytics blog) the Solutions Guide section on the Google Analytics and Google Tag Manager Help Centers. 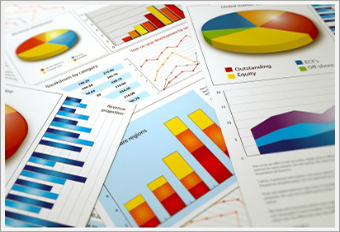 The Solutions Guide area is focused on providing actionable, hands on, step-by-step instructions for implementing Google Analytics, AdWords, DoubleClick, and other third party tags via Google Tag Manager. I’m totally stoked (ha! couldn’t put that in the GA blog announcement) to share this with you and hope you find it helpful as you implement Google Tag Manager. Very Helpfull! Im starting my journey in GTM and this actually comes very handy! Thanks!